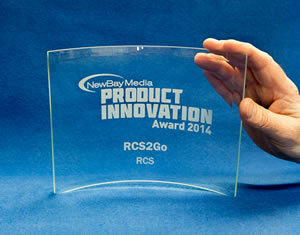 White Plains, NY (January 13, 2015) – RCS, the world’s largest broadcast software company, has been awarded the 2014 New Bay Media Product Innovation Award. This award was presented to the line of RCS2GO products, which includes Selector2GO, Zetta2GO and Aquira2GO. Click here to learn more.